Food labels like “organic,” "natural," “sustainable,” “Fairtrade,” and “locally grown” have become extremely popular lately, and with good reason. More and more people want to buy foods that aren’t just good for their health, but do good for others and the planet as well. At This Is Nuts, we’re passionate both about selling sustainably produced food and giving back. We also like to make it easy for our customers to support worthy causes. That’s why we’ve partnered with EC-GO, a Swedish start-up that offers a healthy snack subscription service both for consumers and businesses. Right now, EC-GO is donating 15 percent of its profits from one of its snack bag selections to the Children’s Cancer Foundation. 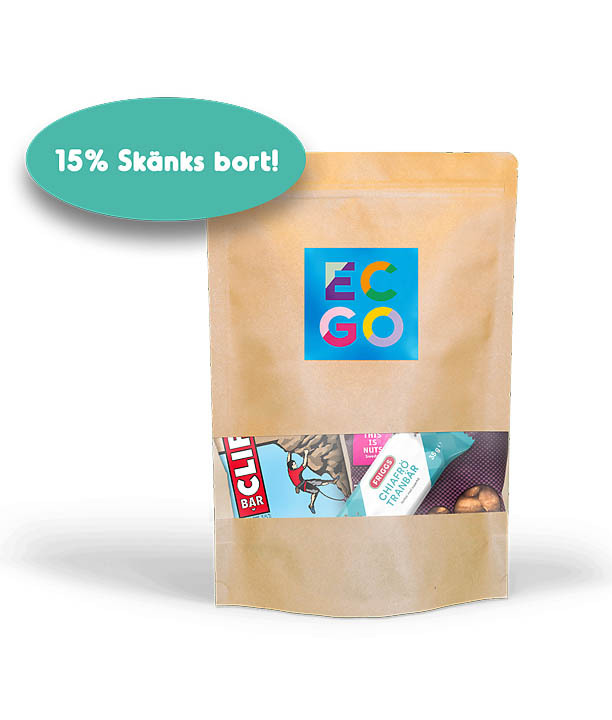 The bag contains 4-5 different natural snacks, with no additives, artificial colors or preservatives, including a variety of rawbars, nuts, dried fruit and chocolate. One of the featured snacks is This Is Nuts’ Ultimate Luxury Nut Mix, an exquisite blend of creamy and crunchy cashews, almonds, hazelnuts, pistachios and macadamia nuts. The promotion will continue at least until Christmas and possibly beyond that if the bag is popular, Julia Semb says.The company also plans to feature a variety of This Is Nuts’ healthy on-the-go snacks in its other bags in the future. The donations from the sales of the Children’s Cancer Foundation EC-GO bag will go toward cancer research and support for families whose children have been struck by cancer. By purchasing it you’re contributing to sustainable agriculture, better health for yourself AND children in need – a win-win. Plus, the bag makes for a perfect holiday gift, especially for the people in your life who already seem to have everything. So c’mon. Let’s do some good together! Order your EC-GO bag here.